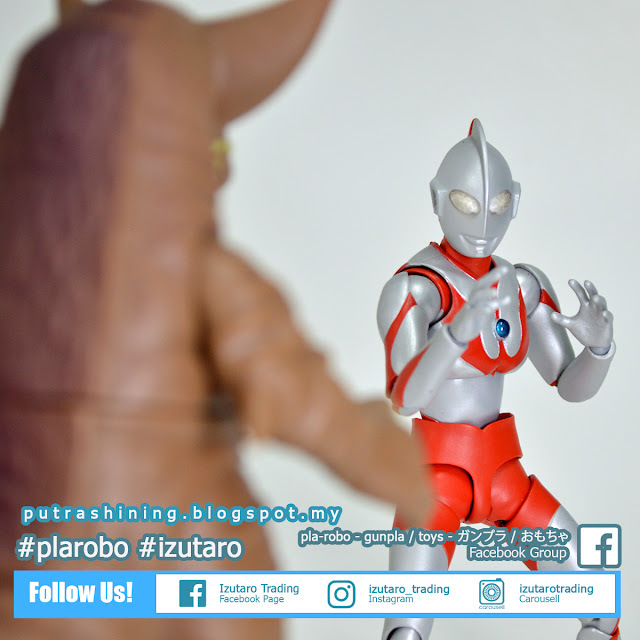 Hi and welcome to Putaro Plastic Modeller. 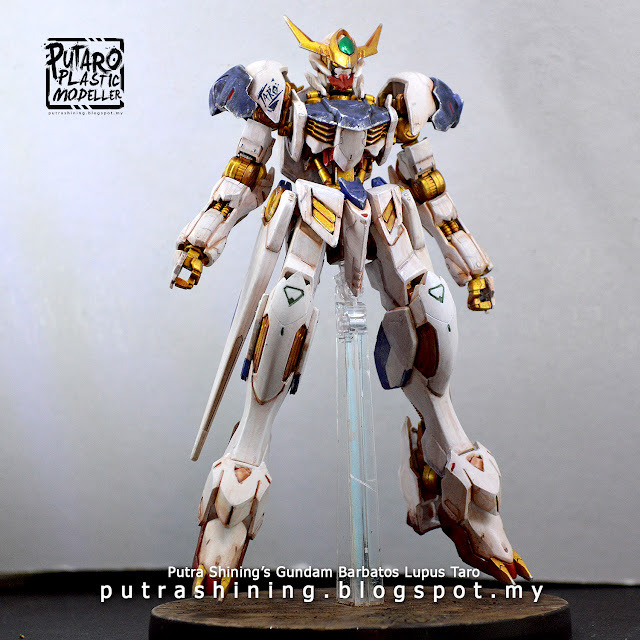 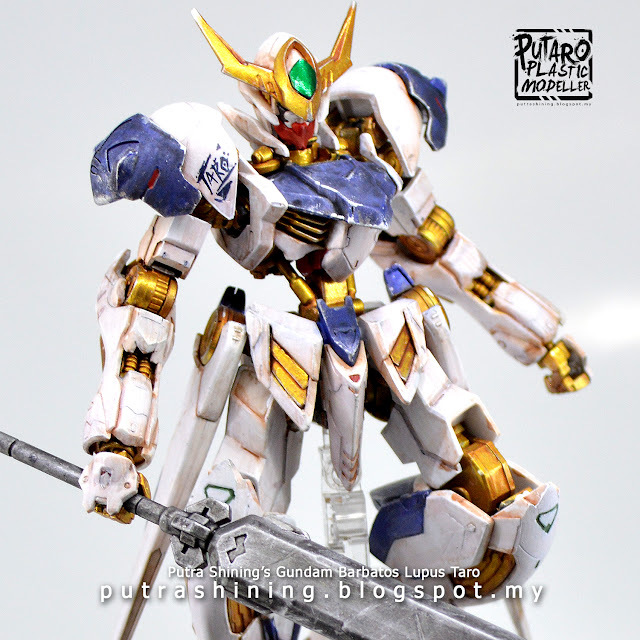 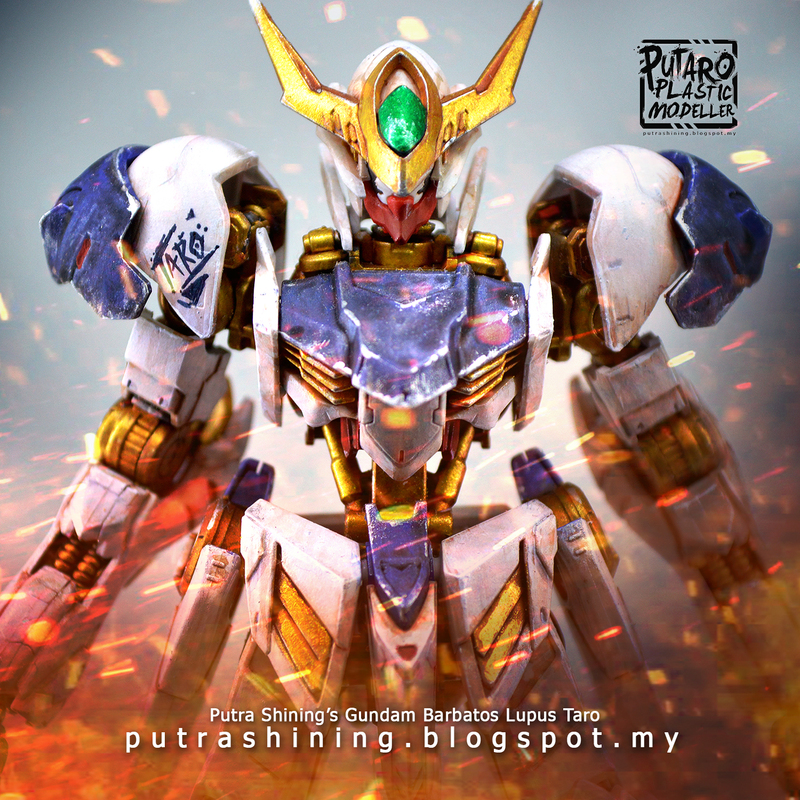 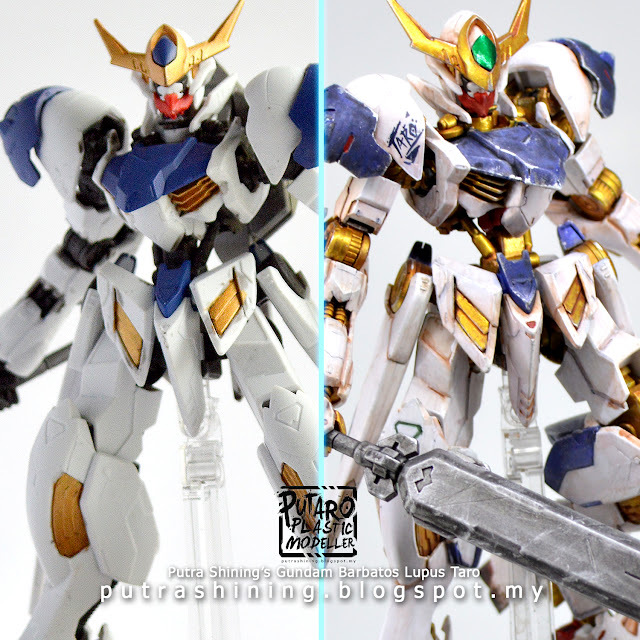 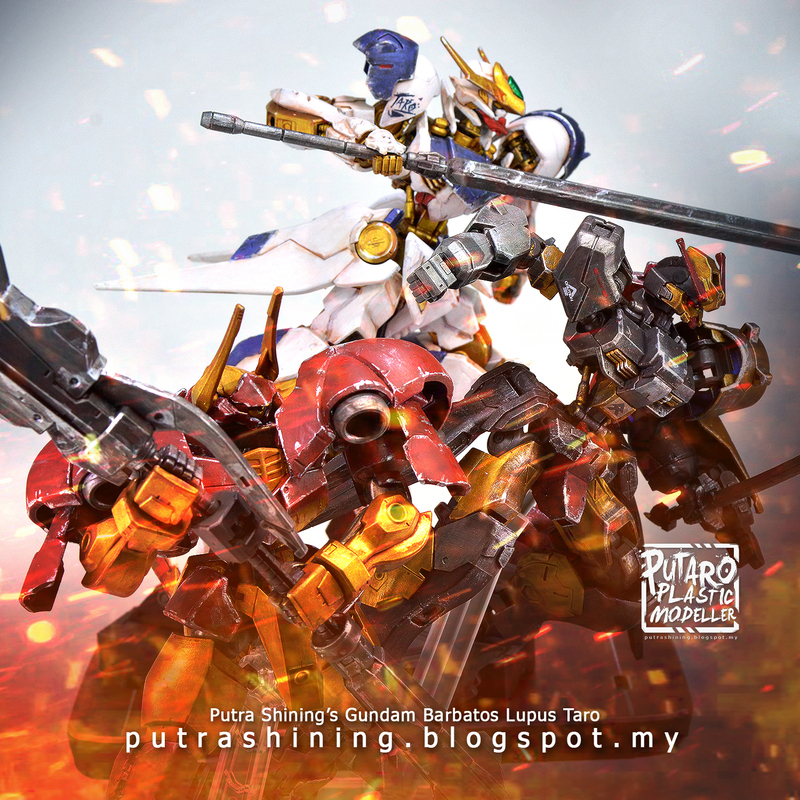 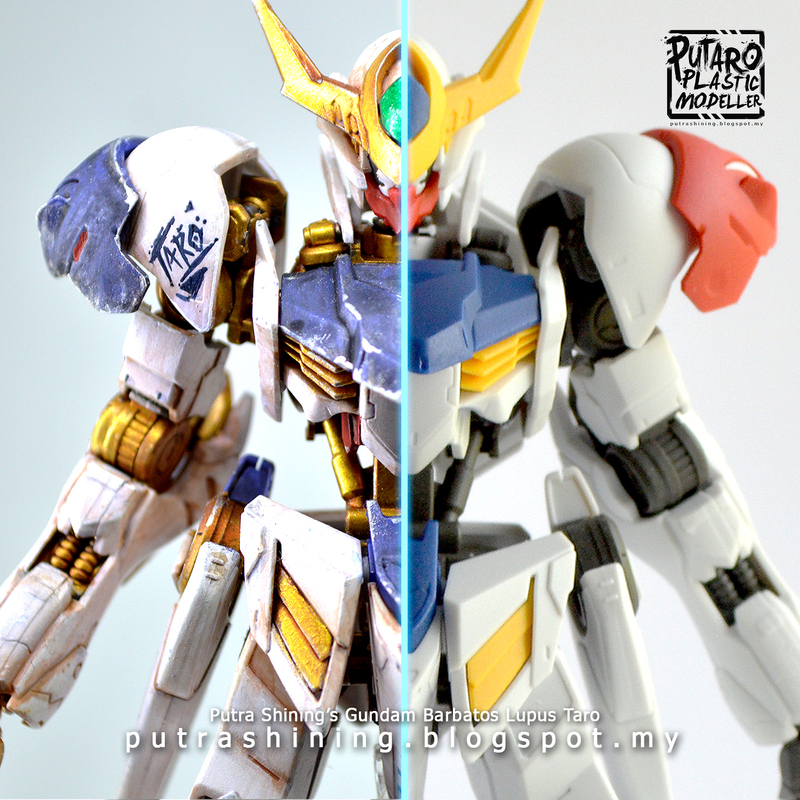 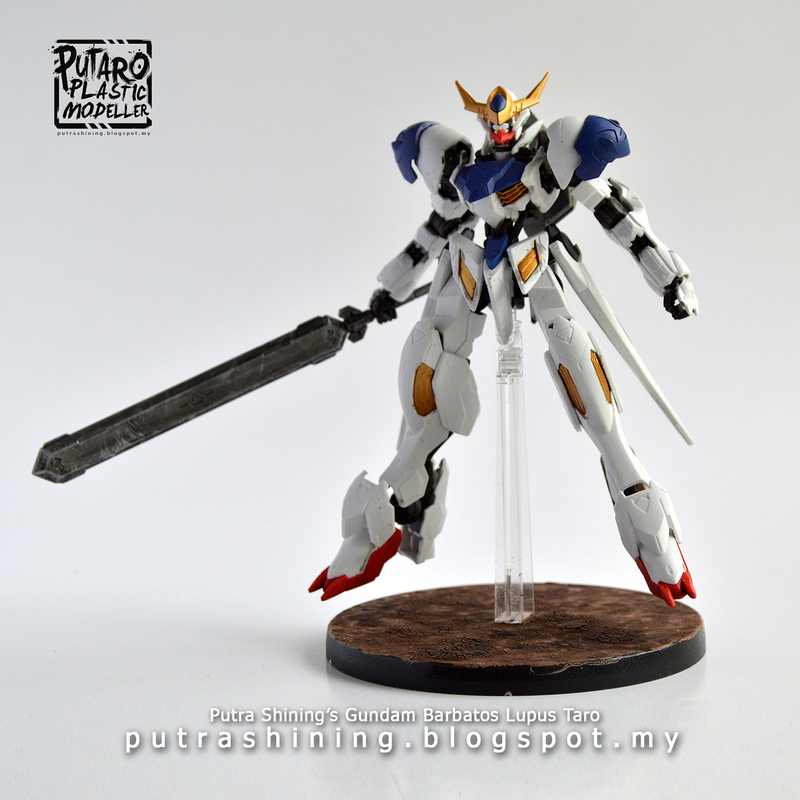 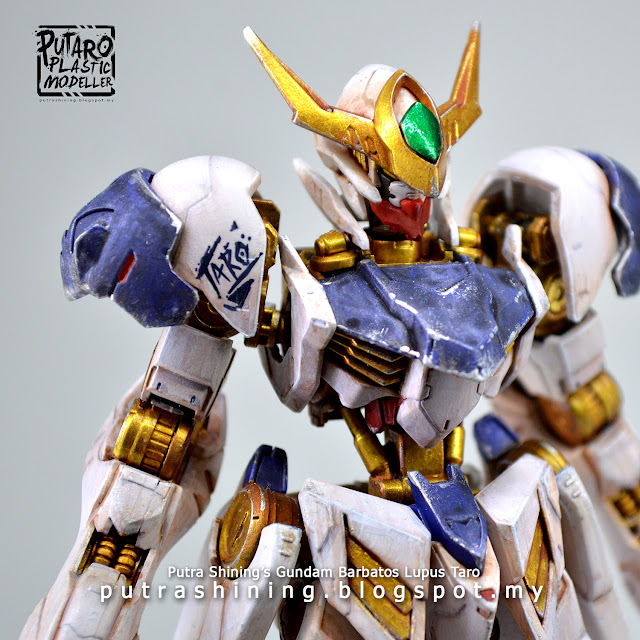 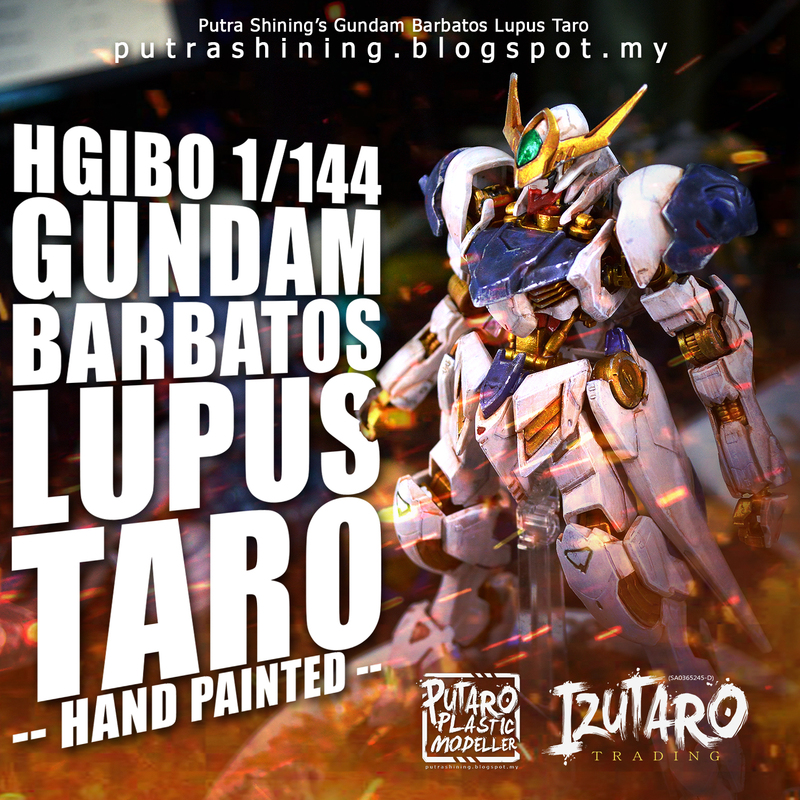 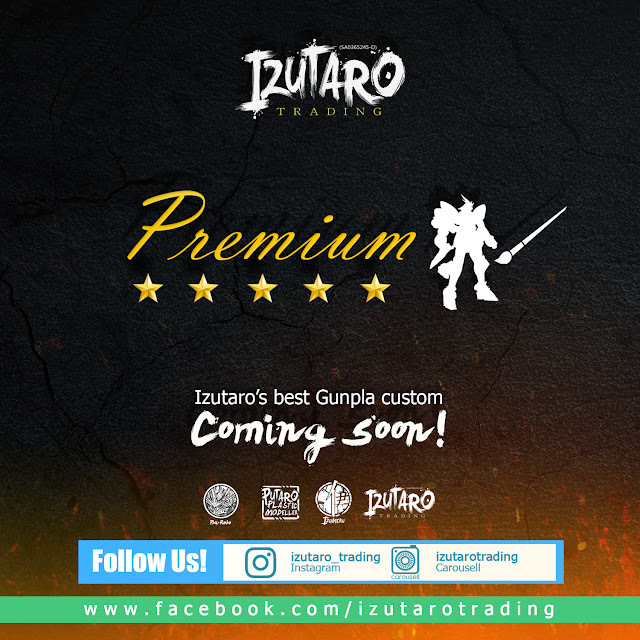 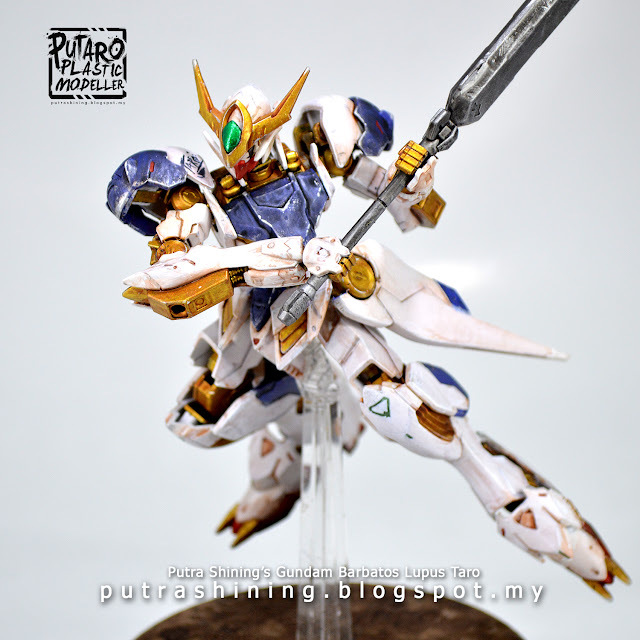 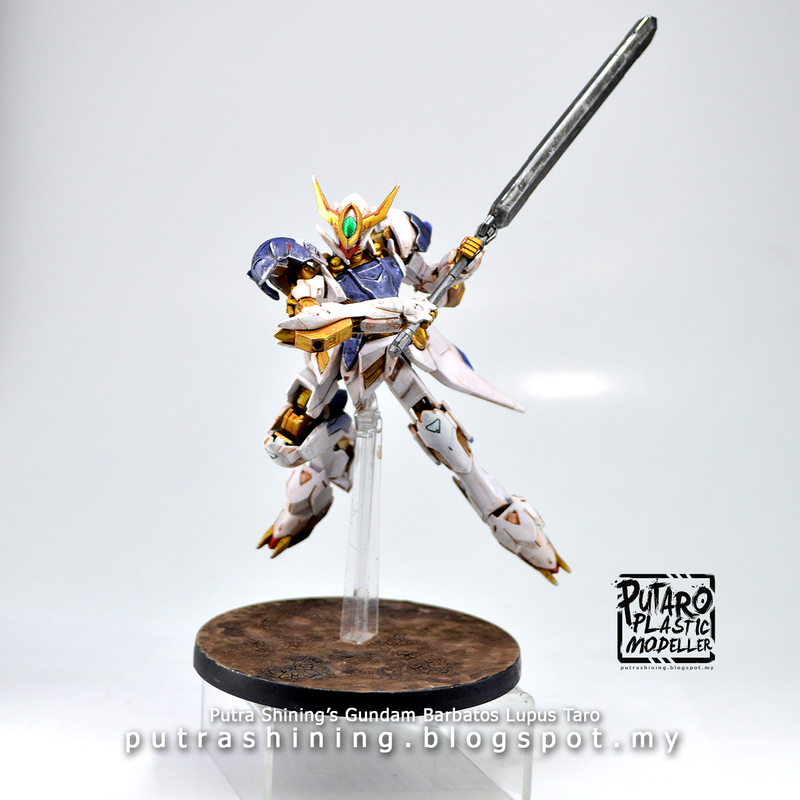 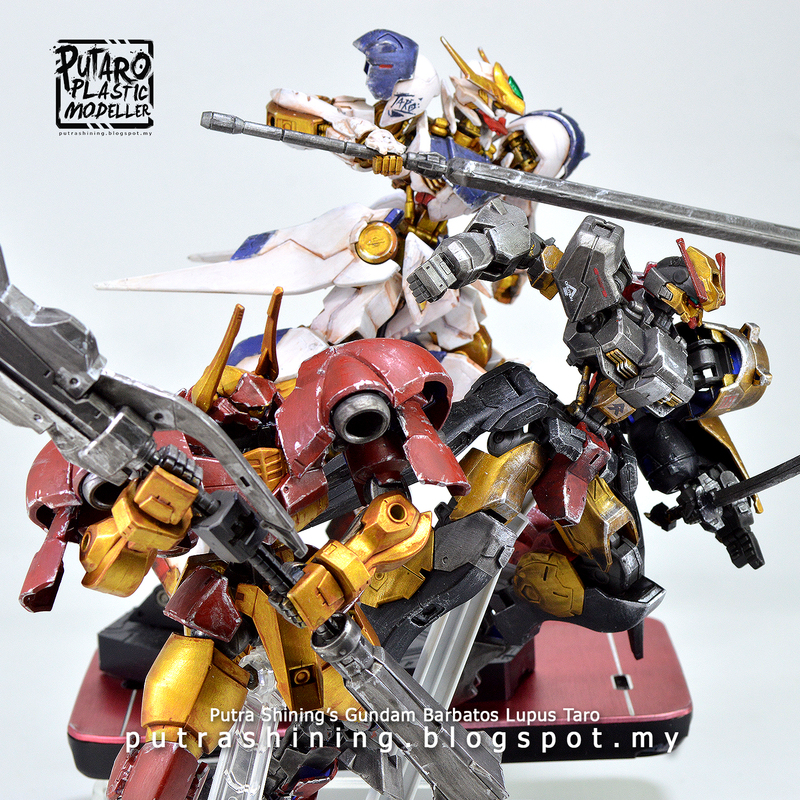 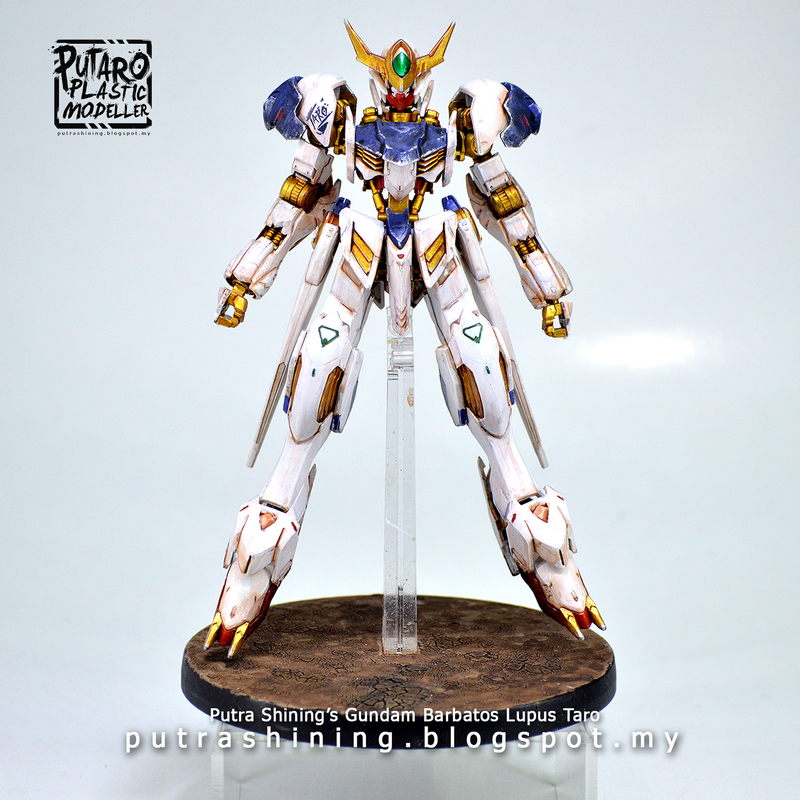 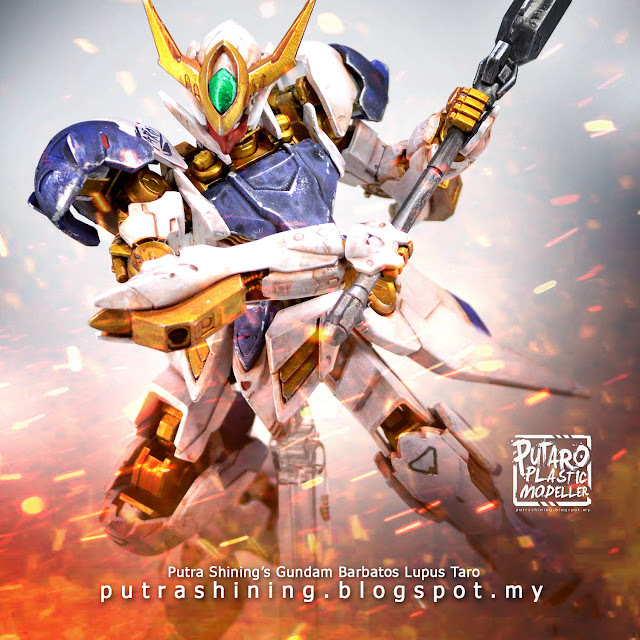 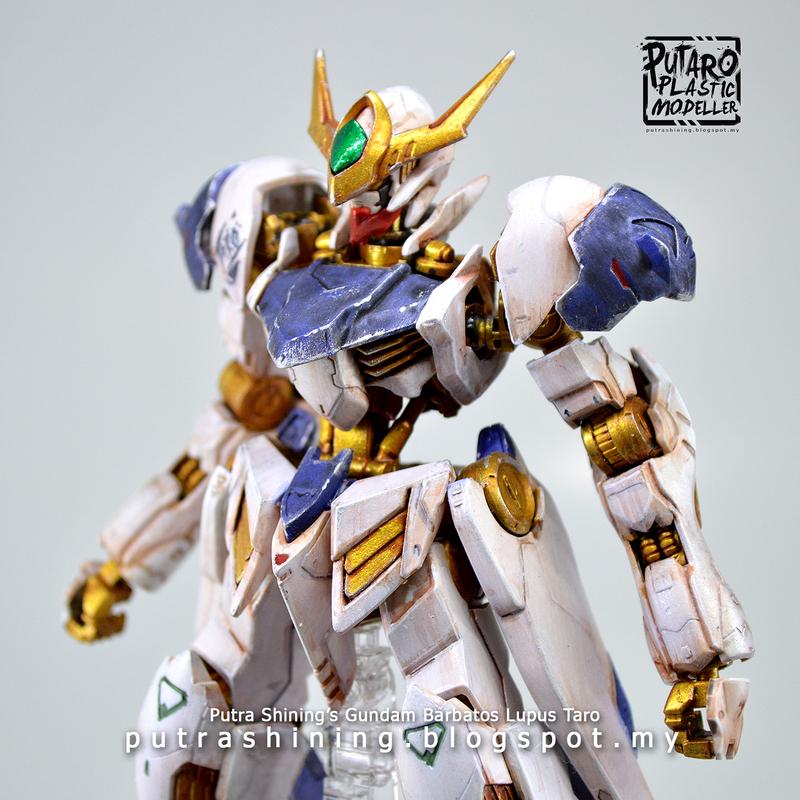 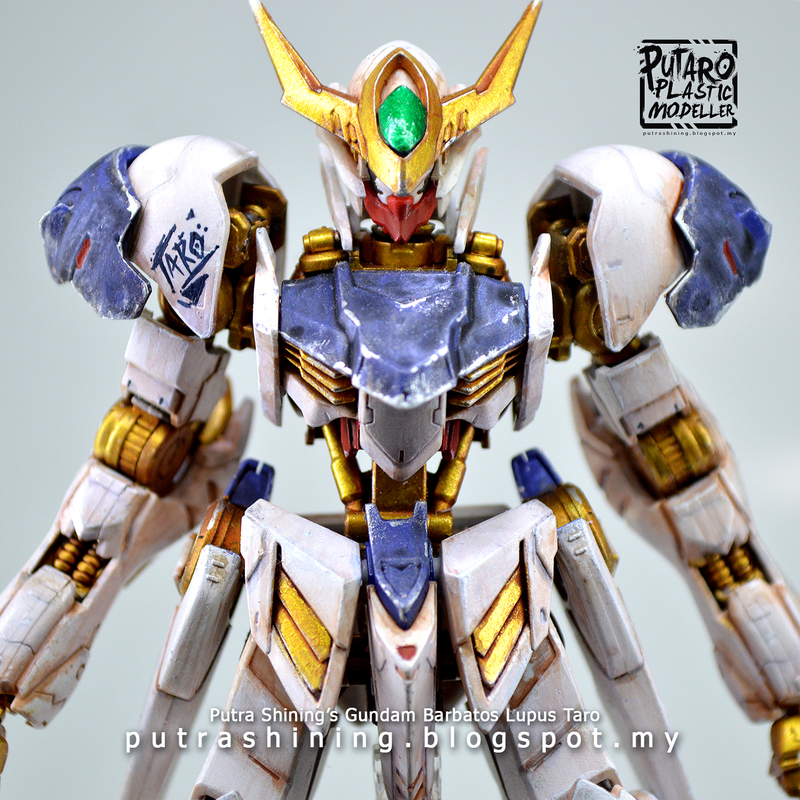 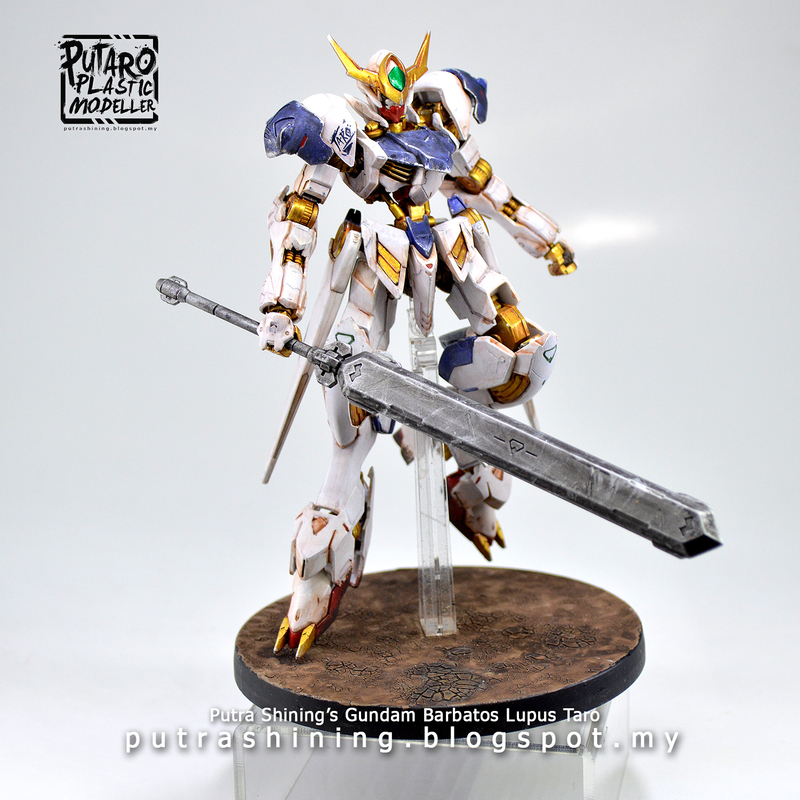 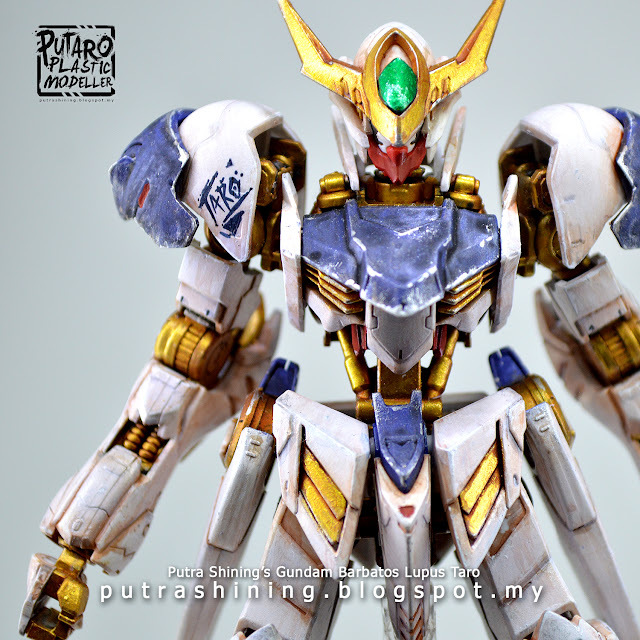 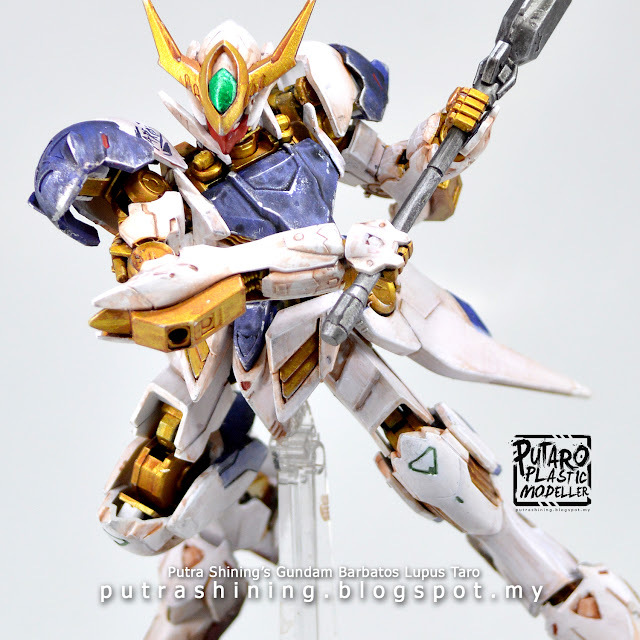 I present to my new style artwork fully hand painted using Citadel Paints, i called it Gundam Barbatos Lupus Taro! 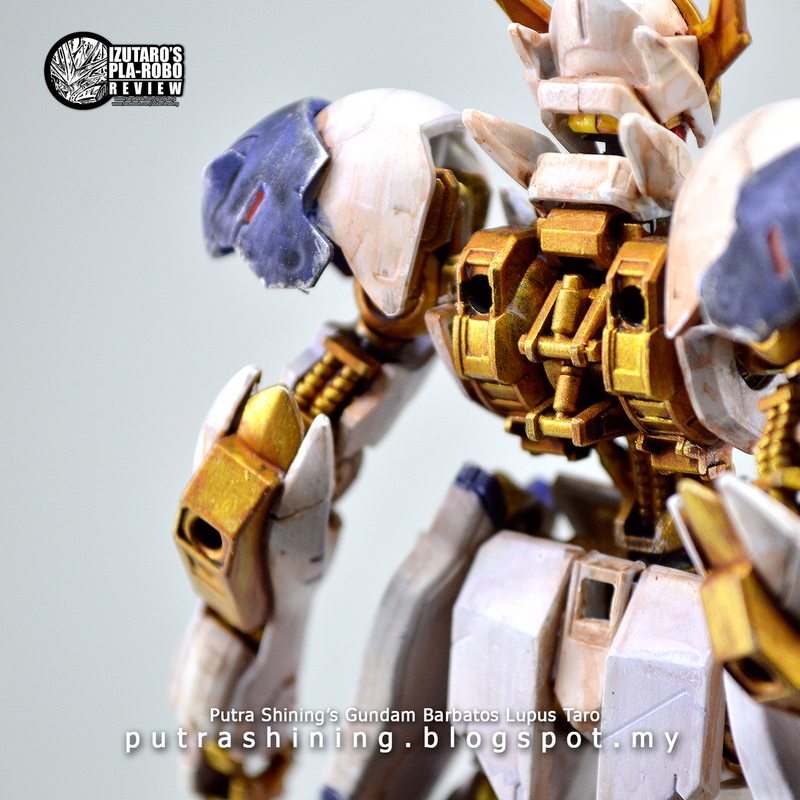 It's gold frame and fully weathered. 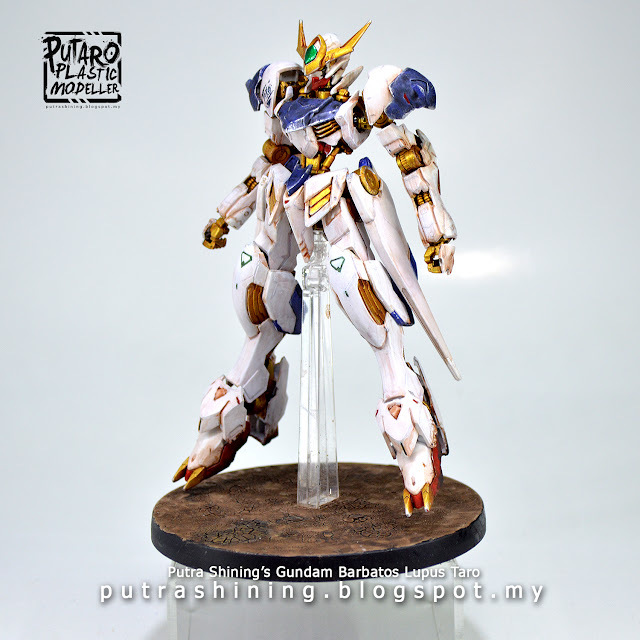 This is my new signature gunpla. 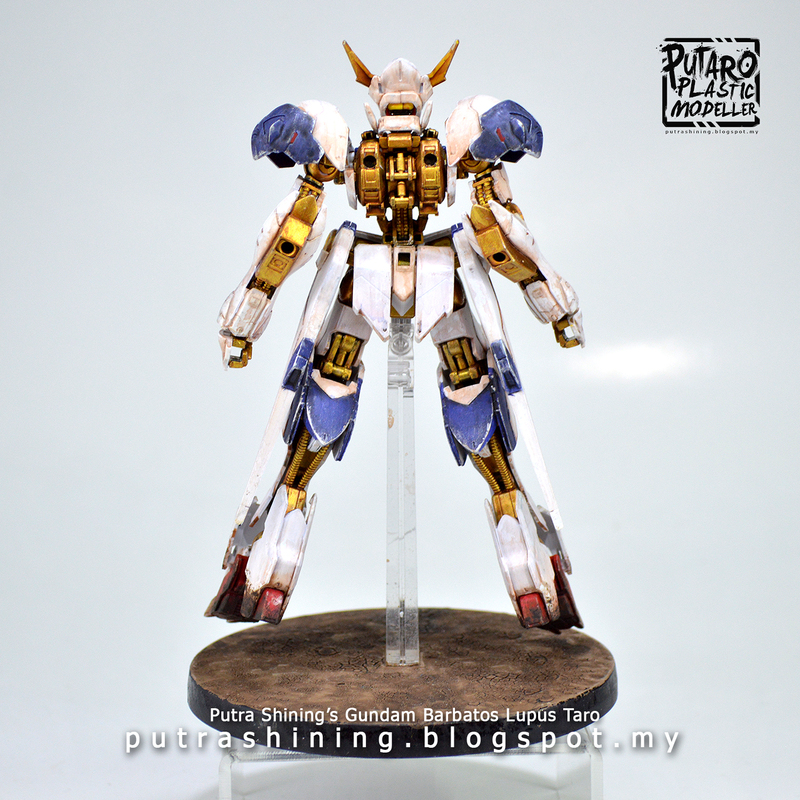 One of the best thing about this artwork, is the story how i build it which is painted without taking any parts off. 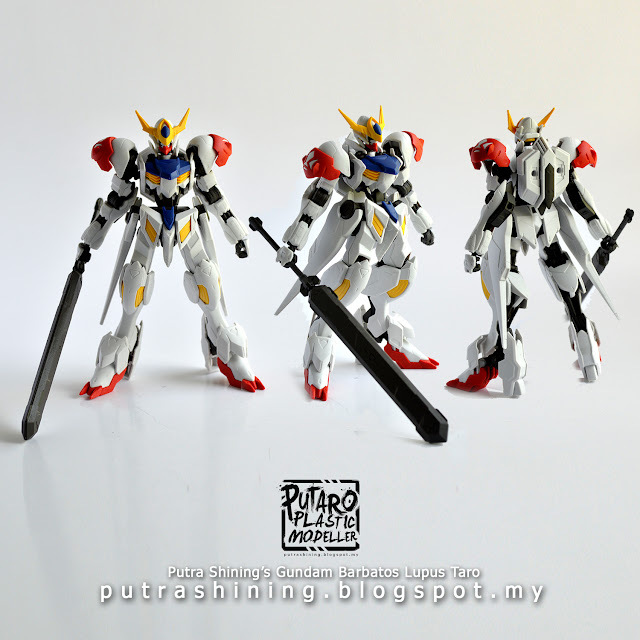 My main objective to make this gunpla look a bit ancient like a legendary Gundam that people never found. 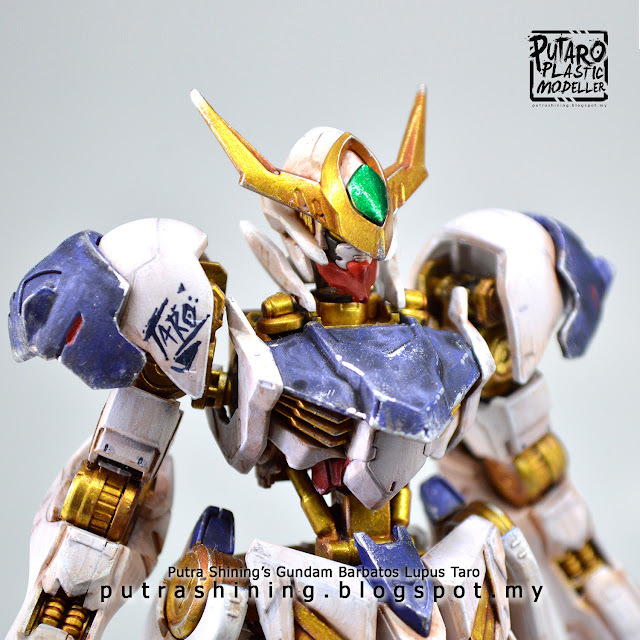 The gold i did make it looks like a very old ancient gold. The action base in other hand i make it looks something like a "It's was a lake and dried out". I'm pretty happy with the results, can't wait to do more. 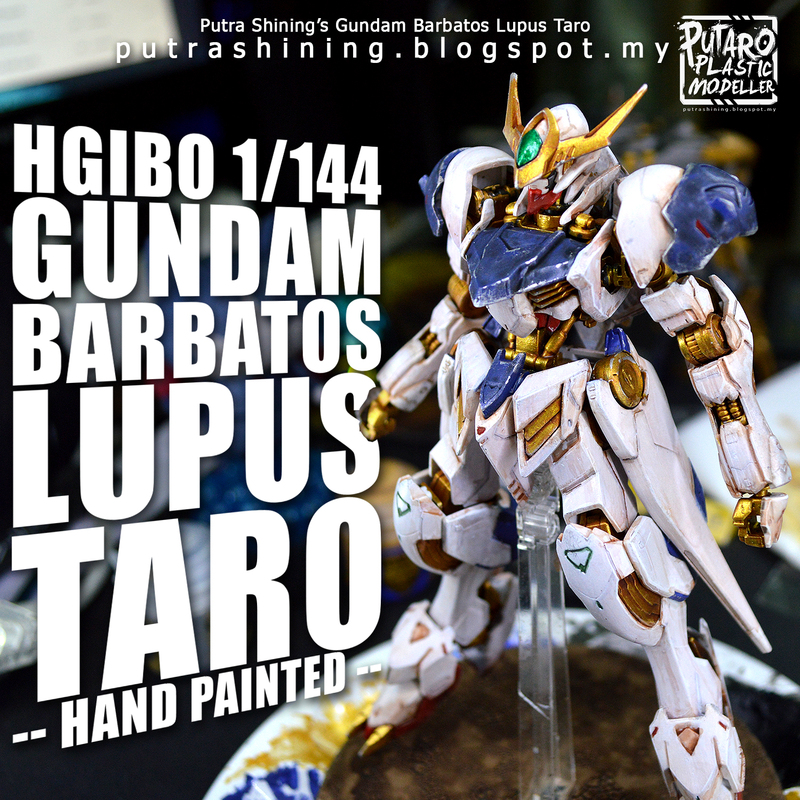 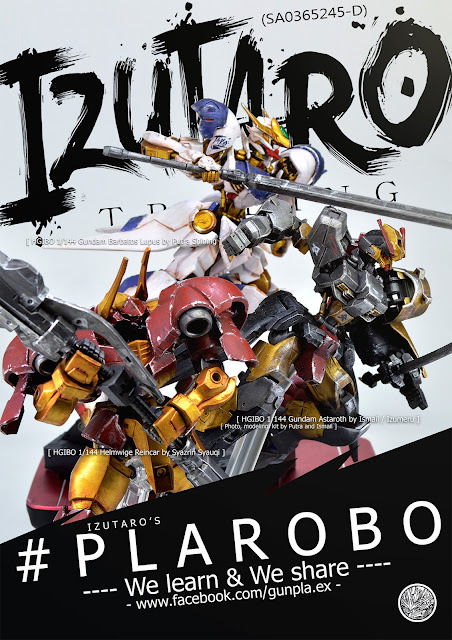 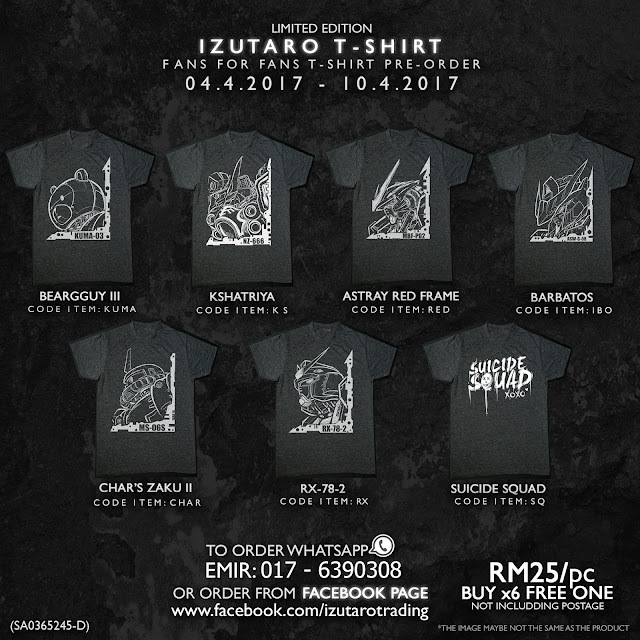 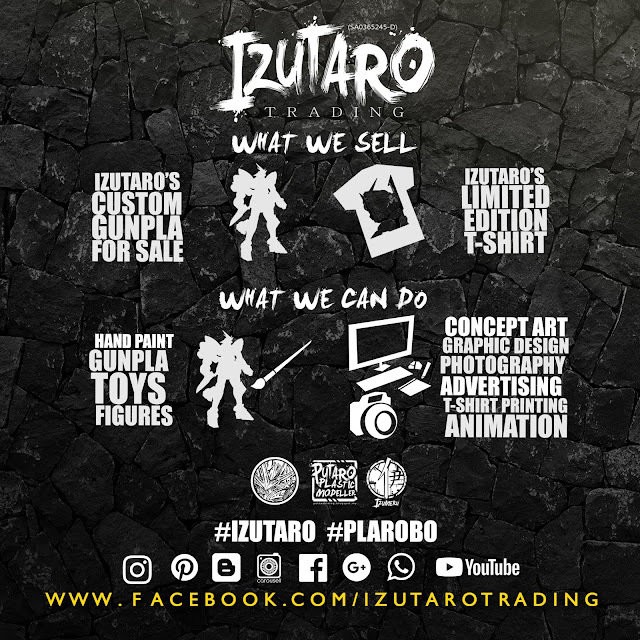 This kit are also in a Izutaro's poster and was displayed at a event called Live Hand Paint Demonstration. 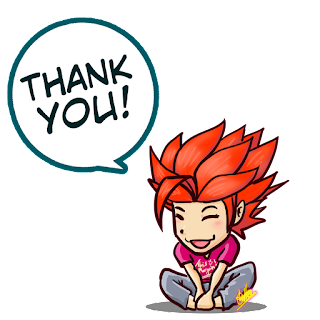 I hope you like my artwork and thank you for supporting me, my blog and don't forget to check it out the Official Link that i have provided below. 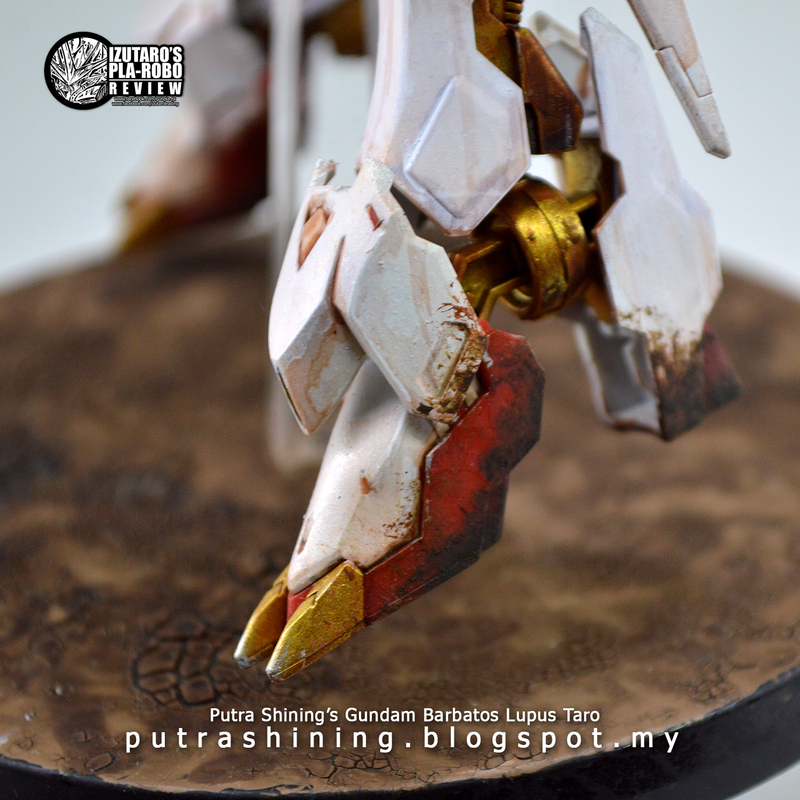 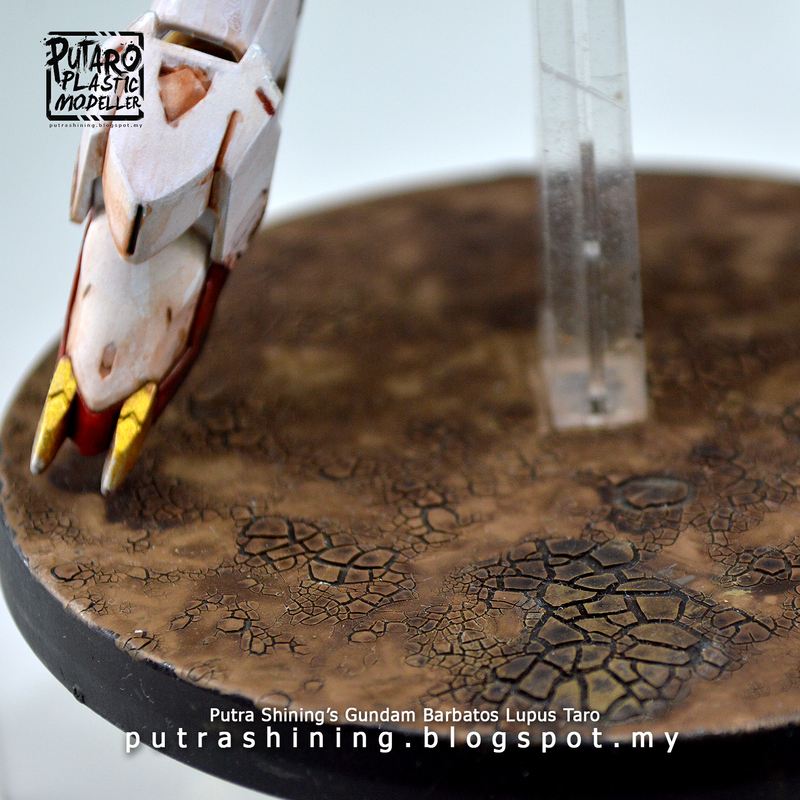 For more awesome stuff, check out my friend's blog, they also used Citadel Paints.